Are you looking for a venue with flair for your seminar or workshop? Or do you simply need some tranquillity to work something out on your own or in a team? When you visit us you will find diverse nature, special lighting conditions, relaxing tranquility and much more. 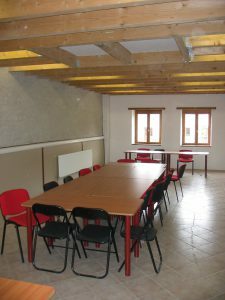 We offer you space for your seminar with accommodation and board. The event room is integrated into our guesthouse and can be reached through a separate entrance.